If you are looking to buy or refinance a home, you will need to contemplate your loan options. Although some people watch the market to try and borrow when rates are low, many overlook one important quality that could help them save big: being an active-duty member of the U.S. military or a veteran. If you are or were a member of the armed forces, then you’re in luck. Interest rates for VA loans are amongst the lowest on the market (for the full eligibility requirements for VA loans, please click here). Plus, VA loans offer a host of other benefits. Once you see how the interest rates for VA loans compare to other mortgages, you might wonder why you haven’t looked into them sooner! Offered through the U.S. Department of Veterans Affairs (VA), VA loans are an appealing option for many prospective homebuyers. Because the VA stands behind these loans, they tend to come with attractive terms. In fact, securing this form of financing can free you from the worry of amassing a down payment or paying private mortgage insurance. It could also help you enjoy lower interest rates, resulting in substantial financial savings over the lifetime of the loan. So if you believe you may be eligible for this type of mortgage, we encourage you to learn how to qualify for a VA loan before you purchase your next home. The military has a language all its own, and abbreviations and acronyms are common. What does PCS mean in the army? If someone tells you that you need to get ready for a PCS, it means that you’ve received Permanent Change of Station (PCS) orders, and you need to prepare to relocate. There’s a lot to think about. You’ll need to prep for the move. You’ll also have to figure out what to do with your current residence, and this can be especially challenging if you’re a homeowner or hoping to become a homeowner. [Read more…] about What Does PCS Mean in the Army? One of the most useful benefits of the military, a VA home loan offers a fantastic opportunity for eligible active-duty service members and veterans who are ready to become homeowners. Because the Department of Veterans Affairs guarantees VA loans, they lack down payment requirements and have lower interest rates than many other types of mortgages. For these reasons and more, they’re very popular amongst qualified military families. So if you’re a service member or veteran interested in buying or refinancing your home, we encourage you to learn how to apply for a VA loan. This favorable financing option could make your dream home a reality. 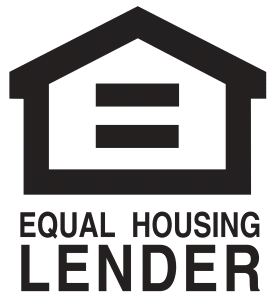 The Veterans Administration (VA) assists active-duty service members, veterans, and eligible surviving spouses by guaranteeing portions of home loans provided by private lenders. Their powerful and flexible support can open doors otherwise unavailable to struggling families, helping them buy or refinance a home. More and more service members are turning to VA loans for help on their road to becoming homeowners. In fact, the VA set a record high in 2016 by guaranteeing more than 707, 000 loans. So if you haven’t yet explored the benefits of a VA loan, we encourage you to check your eligibility and learn why this program is growing in popularity all the time.